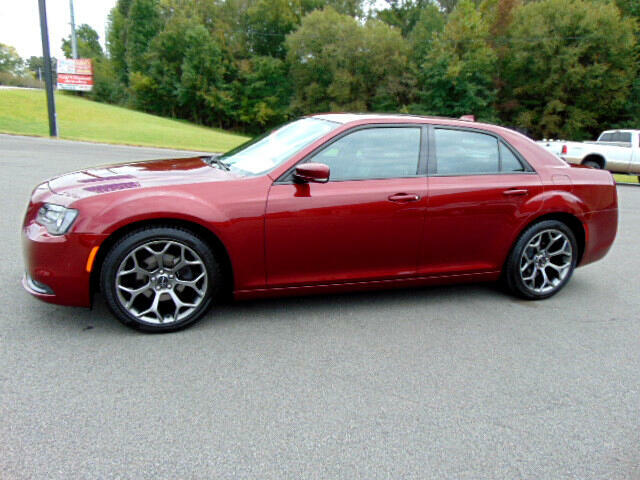 This ONE OWNER 300 S is ABSOLUTELY IN PRISTINE CONDITION !!! It has a 3.6 liter engine, power sunroof, navigation, SAFETY TECH package consisting of crash alert, lane departure warning, blind spot warning, adaptive cruise, also has power seats, heated and cooled leather seats, heated second row seats, power tilt wheel ,dual climate control, steering wheel controls, Alpine audio, parking camera and sonar, remote start, 20" alloy's, and keyless entry !! This vehicle has full factory warranty until 2/07/2021 or 36,000 mile as well as power train until 2/07/2023 or 60,000 miles !! We have changed oil and filter !!! Give Larry or Steve a call at 1-434-791-4488 !! !